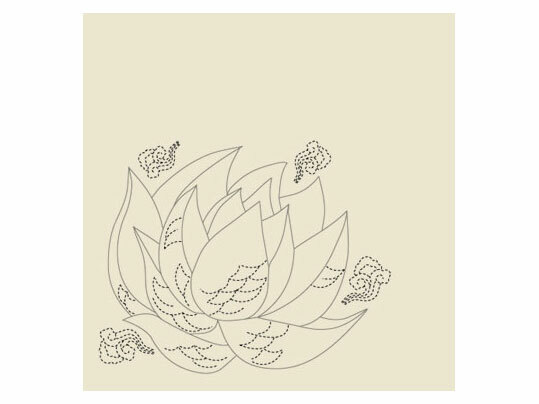 Marmoleum Signature Tattoo contains 3 illustrations inspired by the trend of the individualistic expression in body tattoos. Tattoo shows the endless possibilities that light engraving can offer. 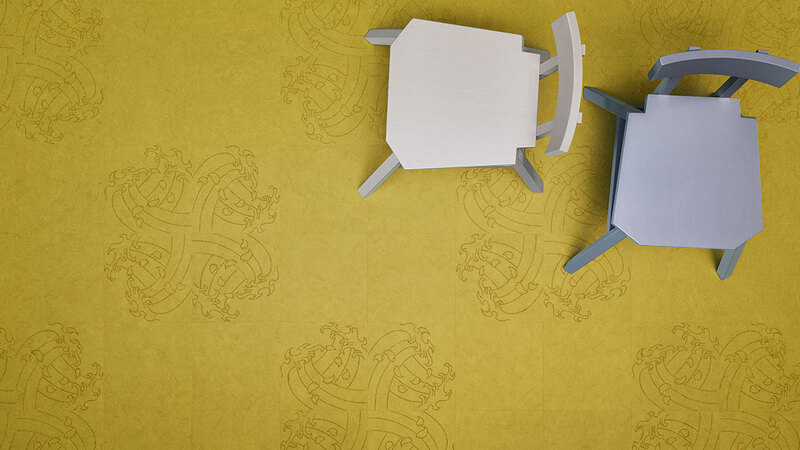 Make a statement on your floor with this unique engraved Marmoleum tile! 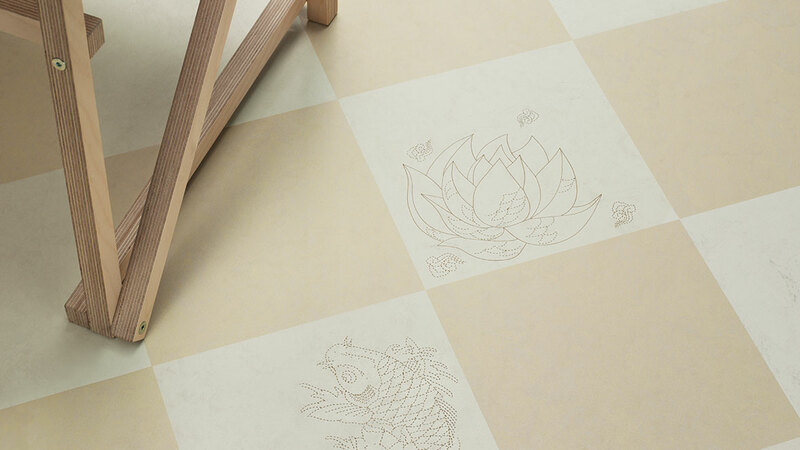 Tattoo contains 3 illustrated tiles of 50x50cm that triggers ideas for customization, like engraving logos or images. 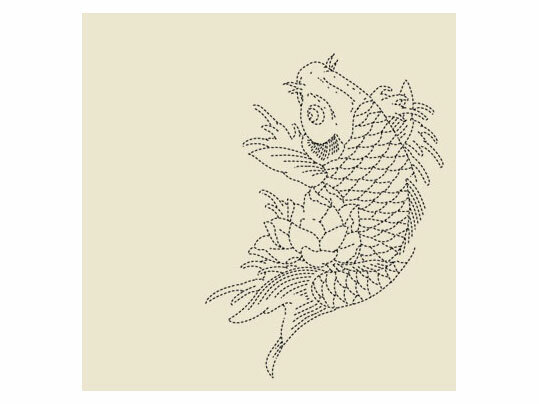 The figurative aspect of the Tattoo design reflects the trend of the individualistic expression in body tattoos. 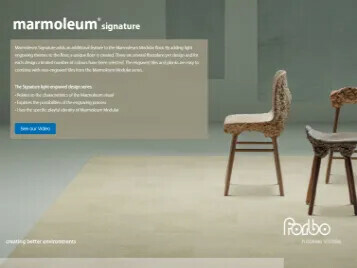 Tattoo is specifically added to the Marmoleum Signature series to show the endless possibilities of light engraving. 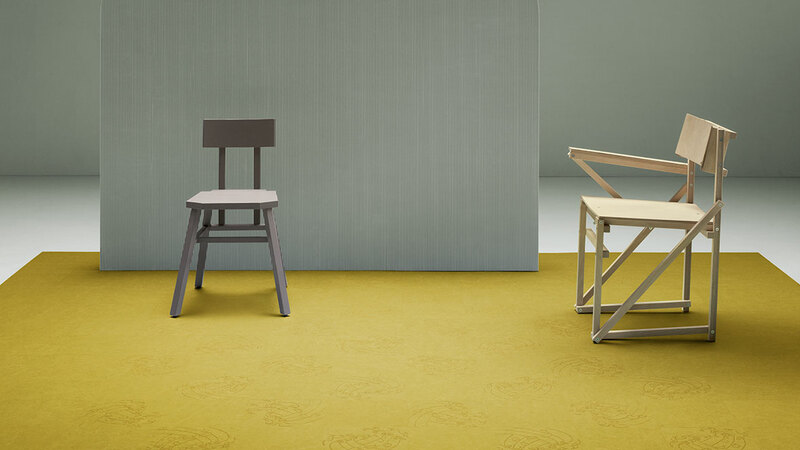 The engraved tiles also allow compositions in 2 colors or a repetition of the same tile that can be mixed with non engraved Marmoleum Modular tiles. 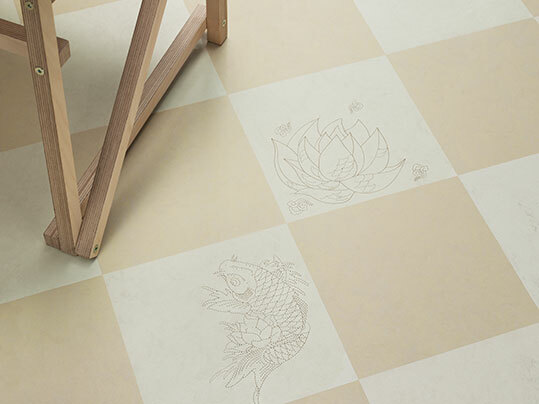 The Marmoleum Signature Tattoo tile is 50x50cm and available in 3 illustrations: Wave, Koi and Lotus. 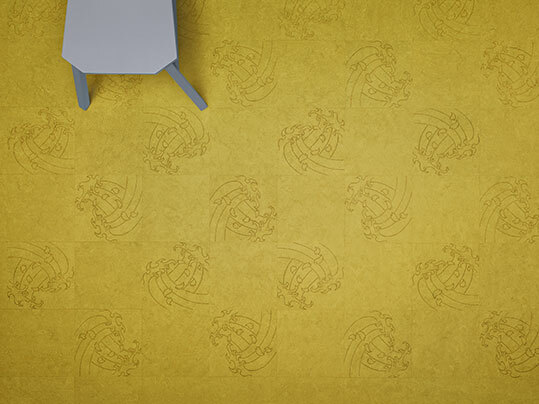 The Tattoo designs are available in 4 colours that come from the Marmoleum Modular tile range: t3722, t3354, t3711 & t3362. 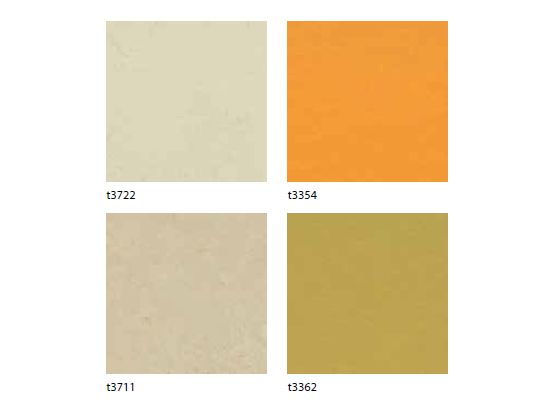 We have created 6 floor plans to see the possible options for floor designs and how engraved tiles can be combined with non engraved tiles. 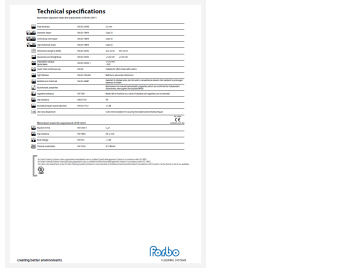 The floor plans can be found in the tab Floor plans. 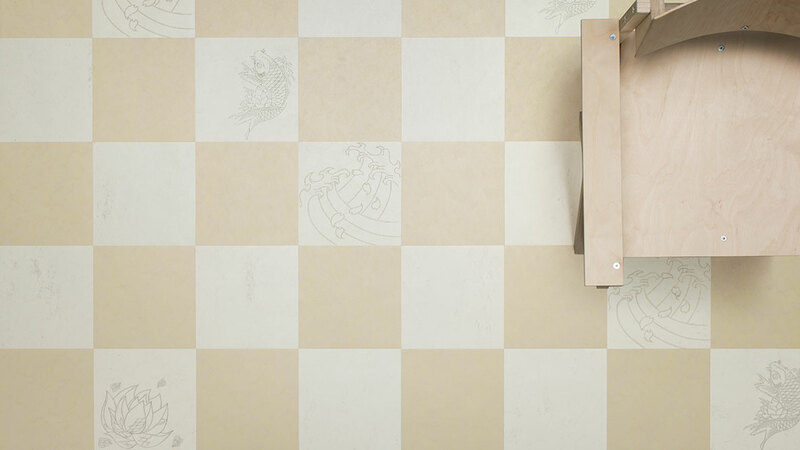 Marmoleum Signature Tattoo tiles (tile size 50x50cm) in combination with non-engraved tiles. Floor plan Tattoo Poetry. 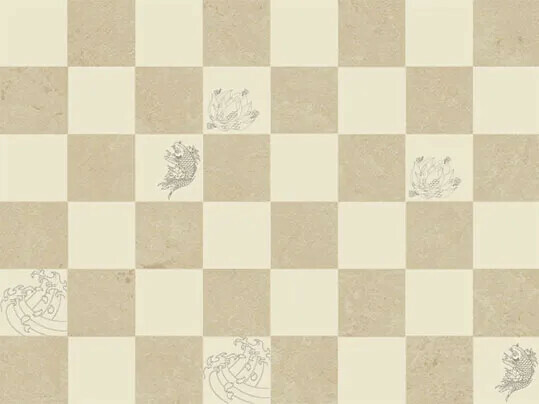 Tile size 50x50 cm. Floor plan Tattoo Poetry 2. 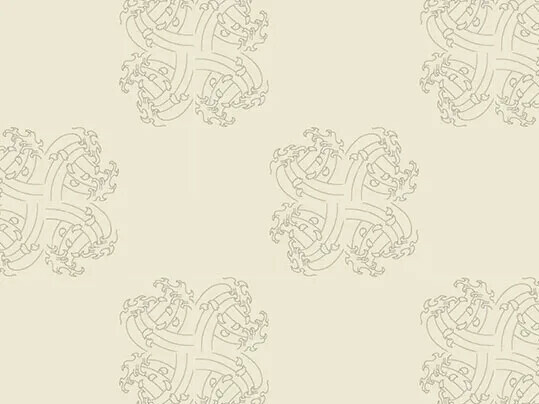 Tile size 50x50 cm. 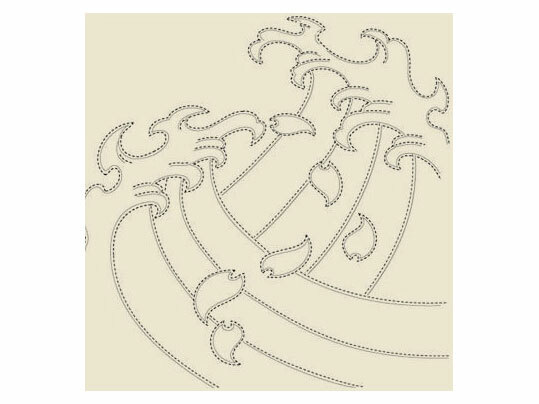 Floor plan Tattoo Waves. 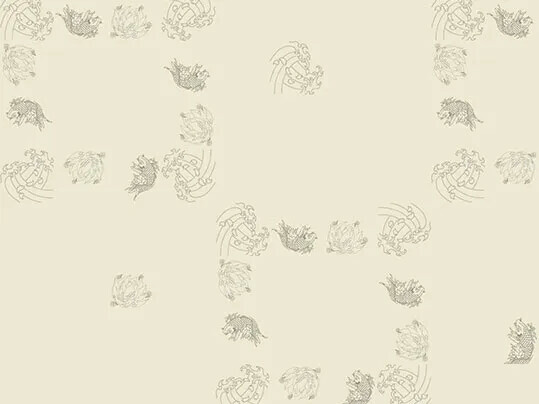 Tile size 50x50 cm. Floor plan Tattoo Emblem. 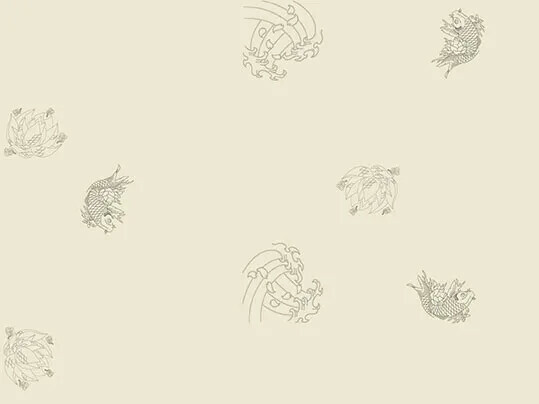 Tile size 50x50 cm. Floor plan Tattoo Frame. Tile size 50x50 cm. Floor plan Tattoo Frame 2. 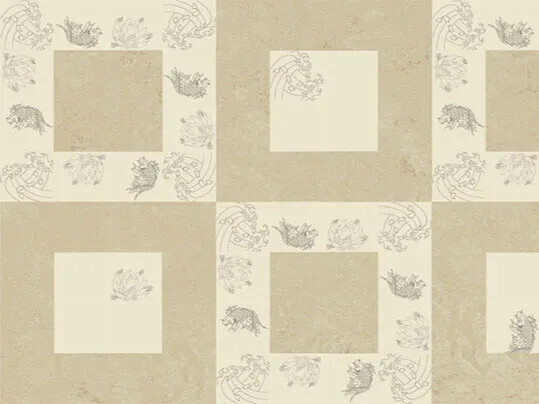 Tile size 50x50 cm.